We love pigeons and don't believe they are vermin. 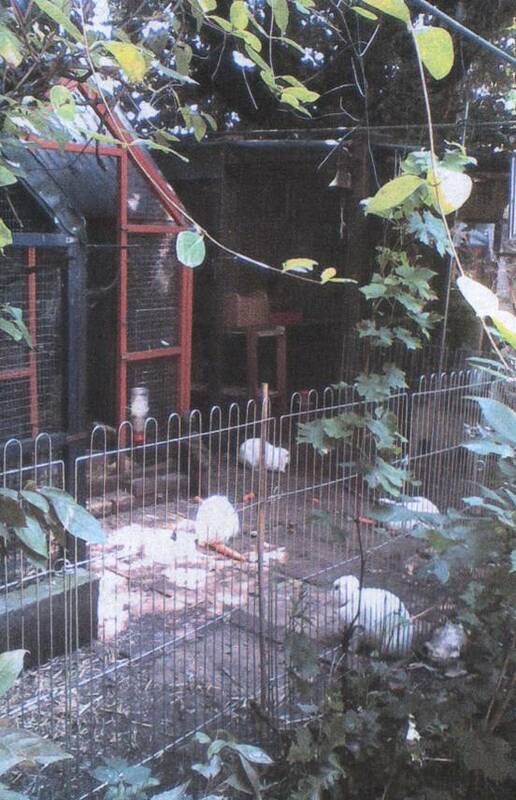 The photo on the right is of some of our avaries with a rabbit run. We are Lyn & Maggie Allen and we have run Pigeon Recovery since 1980. Our back garden is a safe haven for pigeons, blackbirds, magpies and all wild garden birds ( not swans etc ). Over the years we have also expanded and also have rabbits, guinea-pigs etc and also ex-battery hens ( we are vegetarian and deplore the cruelty to chickens ). We rely entirely on other bird lovers to help us keep going and are grateful for any donations sent to our feather family. A Paypal button is on this site, or if you would care to send it directly via Paypal gift option ( no fees ) this is the e-mail address, thank you. Please mention it's for the pigeons, thank you. 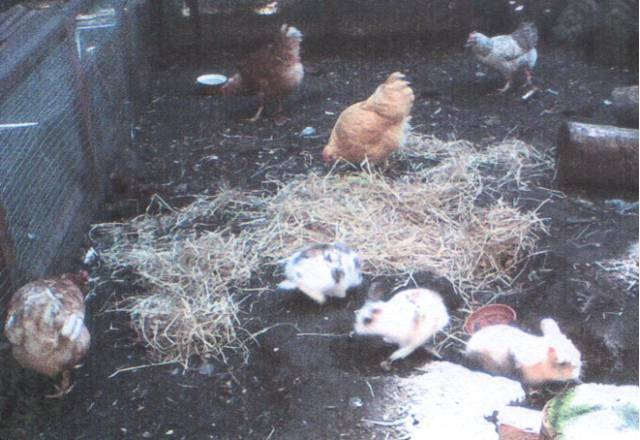 Photo below is our large rabbit run, also popular with the chickens.